New buyers with Premier Livestock Auctions, please provide a LETTER OF CREDIT TO PURCHASE from your financial institution when you check in the sale office for a buyer number. 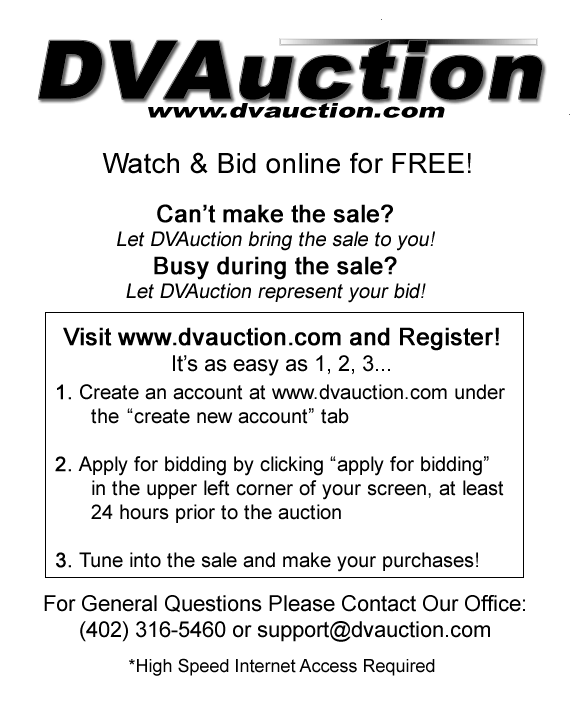 Click above for more information on how to bid online with DVAUCTION. Application must be submitted at least 24 hours prior to auction.